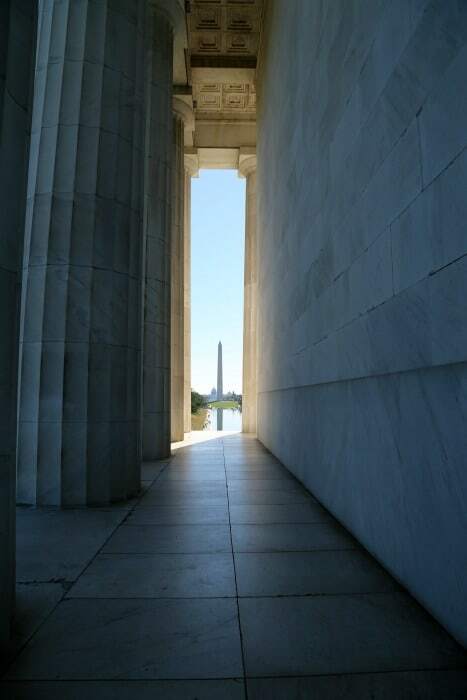 The Lincoln Memorial is a must visit during a trip to Washington D.C.! 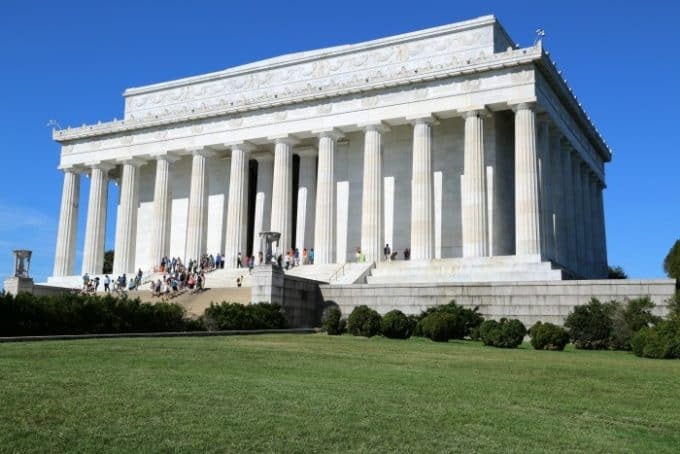 Located at the western end of the National Mall the Lincoln Memorial is not to be missed. You will want to be prepared for crowds if you are visiting during the middle of the day or honestly really anytime during the day. The memorial is visited by over six million people a year. The Lincoln Memorial honors Abraham Lincoln the 16th President of the United States. President Lincoln served during the Civil War, emancipated enslaved people in the South, preserved the Union and was then assassinated in 1865. The Lincoln Memorial was dedicated in 1922. 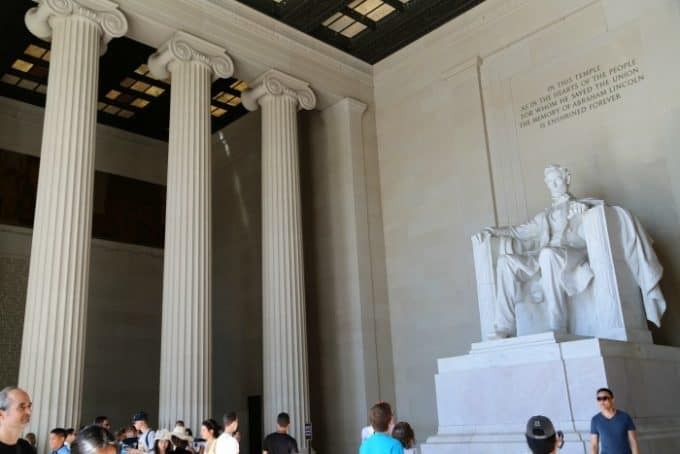 The building was inspired by Greek temples and includes 36 Doric columns that represent the 36 states that were in the Union was President Lincoln was assassinated. The Statue of Abraham Lincoln was created by artist Daniel Chester French. There are also two large murals entitled “Unity” and “Emancipation” by artist Jules Guerin. 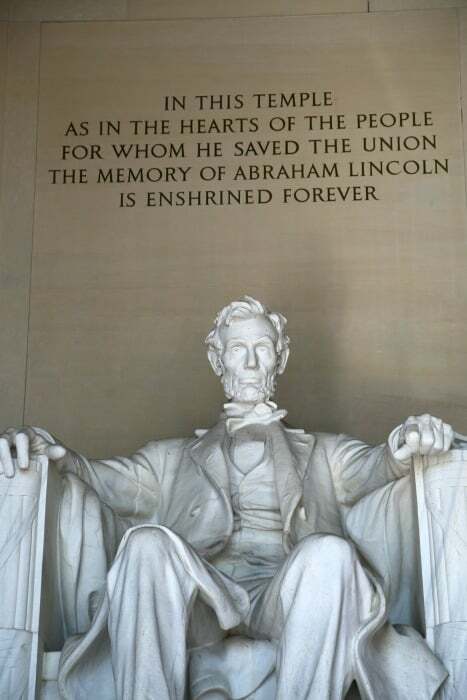 What quote is above President Lincoln at the Lincoln Memorial? In this temple as in the hearts o the people for whom he saved the Union the memory of Abraham Lincoln is enshrined forever. The construction of the memorial took eight years to complete, from 1914-1922. 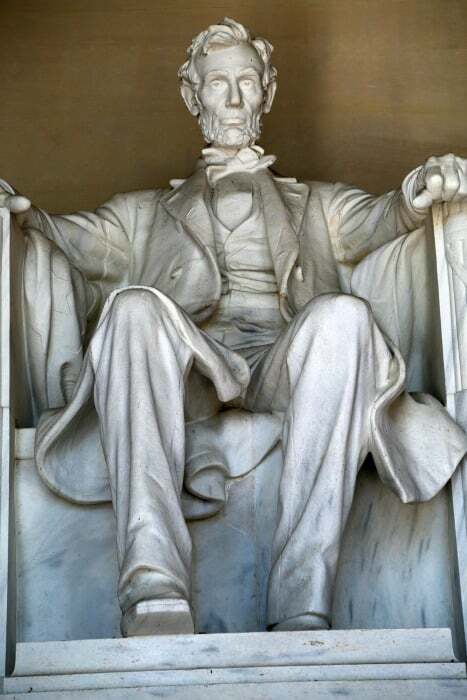 The sculpture of the sitting Abraham Lincoln is 19 feet. 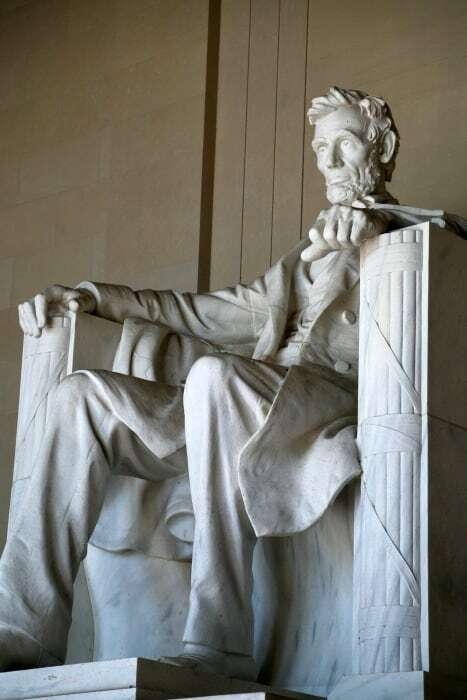 The sculpture of Abraham Lincoln was designed by Daniel Chester French. The marble used for the building portion of the memorial was from Colorado. The marble used for Abraham Lincoln’s statue was from Georgia. There were 36 states of the Union when President Lincoln was assassinated. This is the reason that there were 36 columns designed into the Lincoln Memorial. Martin Luther King gave his ‘I Have a Dream’ speech on the steps of the memorial on August 28th, 1963. The memorial is pictured on the back of the U.S. $5 bill and on one side of the U.S. penny. Lincoln Memorial was added to the National Register of Historic Places on October 15th, 1966. The Lincoln Memorial Junior Ranger program is part of the National Mall and Memorial Parks Junior Ranger Program. 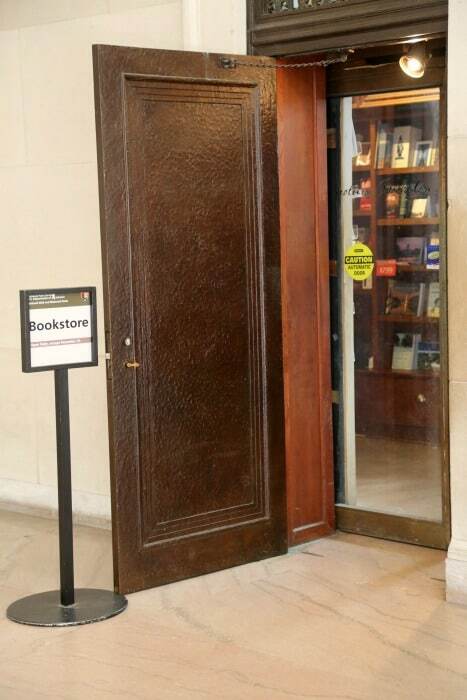 There is a bookstore located on the main floor of the memorial in the corner.